fireWALL Dance Theater is going back to its theatrical roots for its fifth season, with new dance-theater work Past Lives at the intimate Carnegie Stage. “While the show has some of the abstract feel of our more recent works, I feel like as in our earliest works, audience members are going to feel really involved in the production without actually being involved in it,” says artistic director Elisa-Marie Alaio. 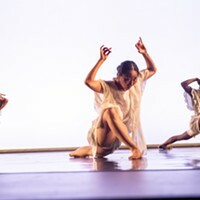 The idea for Past Lives grew out of this summer’s fireWALL Junior Summer Intensive showcase, in which Alaio and her students created dances that reflected on memories of birthdays. 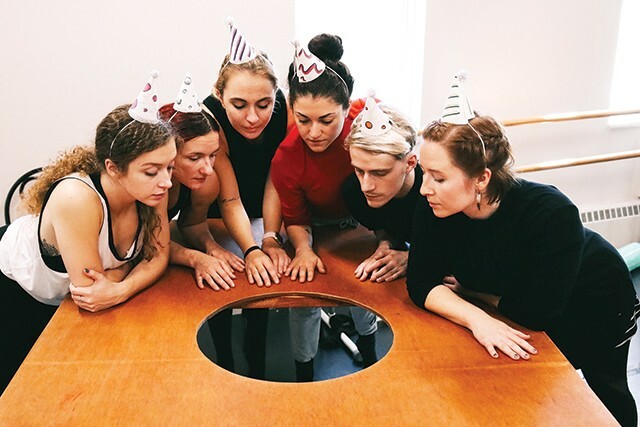 Alaio, along with founding company member Jenna Rae Smith, took that premise and choreographed a work about happiness, disappointment, change, and expectation. The hour-long performance takes place at a present-day birthday party in which a group of six adult friends (Alaio, Smith, Alexis Bomer, Glenna Clark, Elijah Ruane, and Adrianna Amodei) reminisce about important times in their lives. 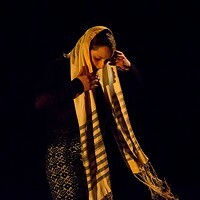 fireWALL Dance Theater dancers rehearse Past Lives. A convergence of the past and present, two things happen simultaneously onstage. Alaio says the fictionalized stories are pulled from her memories and of those she has known over the years: no one showing up to a party a woman threw when she turned 15, or the joy a five-year-old boy received getting a toy truck as a present. And while some of the scenarios may delve into painful subject matter, Alaio says overall the production isn’t heavy on drama and audiences will feel good in the end. The work is set to a collection of 15 songs by Michigan singer/songwriter Børns — recreated and constructed into a score by Reni Montiverde, along with some of her original music. After its Pittsburgh-area premiere, the company will tour the production to New York, Nov. 15-17, for four shows at Manhattan’s Royal Family Performing Arts Space. Also at the Carnegie Stage on Sat., Nov. 10, Texture Contemporary Ballet will present the 11th installment of their annual WIP Choreography Project with shows at 7 p.m. and 9 p.m. The 10 choreographers presenting work include: Elisa-Marie Alaio, Allegra Golembiewski, Shane Kesneck, Katie Miller, Jamie Erin Murphy, and Alexandra Tiso. Enjoy wine, beer, and snacks and mingle with the artists before and after the show. Tickets are $20-25 and available at textureballet.org.